The WPL608 barcode printer features an industrial design at an affordable price, delivering reliability that your organization can depend on. Durable construction, exceptional print speed, and dual printing technologies make the WPL608 a leader in industrial barcode printing. Featuring direct thermal and thermal transfer printing capabilities, the WPL608 eliminates the need to invest in multiple printers. Engineered to withstand harsh environments and high-traffic areas, the WPL608 industrial barcode printer offers all-metal construction. Print speed of up to 8 ips at 203 dpi print resolution makes the WPL608 ideal for applications that demand efficiency. The WPL608"s print speed is supported by 8 MB SDRAM and 4 MB of Flash memory. The WPL608 industrial barcode printer includes an LCD display and 6-button control panel for easy installation and use. Flexible connectivity options for the WPL608 include serial, parallel, and USB. Loading media is simple and intuitive with the WPL608"s side-load design. Easily monitor label and ribbon usage with the large media view window. 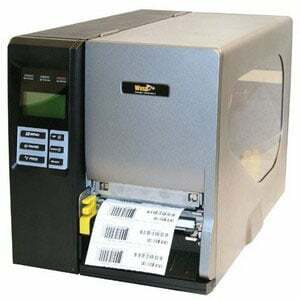 To ensure compatibility with your application, the WPL608 industrial barcode printer supports WPL, ZPL and EPL emulation, and is CE, FCC, TUV, & UL certified and RoHS. Peeler Kit for WPL608/WPL610 printers.